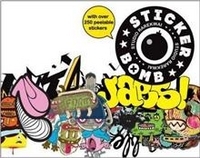 Stickerbomb is the first collectable, fully-peelable sticker book featuring illustration, graffiti and graphics. It is filled with an amazing collection of over 250 specially commissioned stickers by artists, illustrators and graffiti writers from around the world. An essential part of the street art movement, inexpensive, and easy to produce, stickers often act as an informal business card for graffiti writers, and a quick and effective promotional tool for many artists and illustrators. As more and more stickers are placed around major cities in the world, interest in the subject keeps growing. 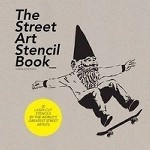 Many street art books to date have featured photographs of stickers spotted in urban environments packed with examples of the real thing, Stickerbomb offers the fun of peeling and sticking, and of owning and collecting cool stickers.